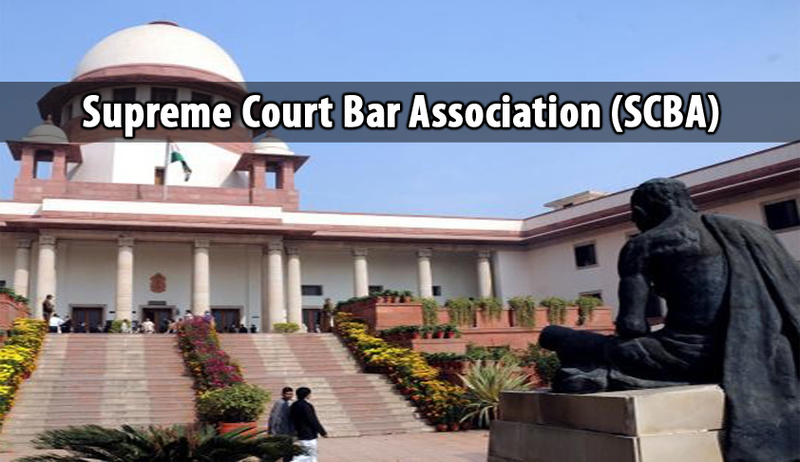 The Executive Committee of Supreme Court Bar Association has resolved that henceforth all fresh applications for Membership must be accompanied by an affidavit that there are no criminal proceedings pending against the applicant, in which charge sheet has been filed in a competent court, for any offence involving moral turpitude. It has further been resolved that all those applicants who are facing any criminal proceedings, their applications will not be considered and will be deferred till they are finally exonerated by a competent court. It is also resolved that in respect to Applicants, who were interviewed on 12.02.2015 and 13.02.2015, necessary affidavit may be called for with regard to pendency of Criminal Proceedings and only upon receipt of the affidavit, the Membership may be granted to them. It is also resolved that those applicants who have applied for Membership, although they have not cleared All India Bar Examination, compulsorily required under Bar Council of India Rules, will be considered for Membership, subject to their clearing the Bar exam, since in any case, they will be made only temporary Member. In such cases, the applicant may be required to submit necessary affidavit to this effect to undertake to appear in the examination and also agree to the condition that their Membership will be subject to their clearing the examination. If the applicant fails to pass the All India Bar Examination, only 50% Membership fee be refunded and the balance will be forfeited. It is also decided to help the younger Members of the Bar in a more constructive manner. As part of this initiative, Executive Committee has decided to request all Senior Members of the Bar and Law Firms/Advocates-On-Record, to intimate if they have any available positions in their offices for placement of younger Members of the Bar, simultaneously enquiring from younger Members of the Bar, who may not have one such placement, showing their inclinations and interests. All the information so received will be collated by the Sub-Committee for continuing Professional development of young Members, and suitable names will be recommended to Senior Members, Law Firms/ Advocates-on-Record, so that SCBA can help young Members of the Bar in their professional development, while serving the collective interests of all Members. It is also decided to request all Senior Members of SCBA to accept at least 5 deserving pro-bono matters per month, to actually strengthen the cause of justice delivery so that deserving matters, where expertise of Senior Advocate is required, are not denied of that expertise only due to monetary reasons. It is also decided that an Educational Lecture Series must be institutionalized as “Educational lecture programme” which will specially help the young and other Members of the Bar to enhance their intellectual and professional standards. This program will be institutionalized and a complete calendar will be prepared with dates etc. The Executive Committee resolved that in this regard it may invite eminent personalities in the field like Prof. Upendra Bakshi, Mr. Madhav Menon, Dr. Rajiv Dhawan amongst others.